Do you know the feeling? 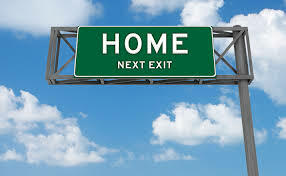 I mean the feeling of taking your home exit off the freeway after a long journey. You are finally turning toward home. You can park in your own garage, eat your own food, sleep in your own bed, shower in your own shower, and nap in your own recliner. The tension of traveling begins to relax. For those of you who have followed me these past few weeks, we have been using Luke’s Gospel to travel with Jesus to Jerusalem, the final journey to the cross. Luke presents this as an extended journey, surely exhausting for Jesus. At one point Jesus admits, “The Son of Man has no place to lay his head” (Luke 9:58). This was not even couch surfing, but sometimes sleeping rough, outdoors, for the Lord. You might be thinking, how could going to Jerusalem be going home? The cross and a horrible death awaited Jesus in Jerusalem. No one should desire that! But remember as we started this journey, Jesus set his face like flint to go to Jerusalem. Perhaps it wasn’t just the cross that drew him to the holy city. Surely he saw beyond it and knew it was just a matter of days for him to be returned to his Father in heaven. The last turn for a Galilean pilgrim on the way to Jerusalem for Passover would normally be the south end of the Jordan River valley at the oasis city of Jericho. From there, the road to Jerusalem loomed, a climb of over 3,500 feet in about 18 miles. Sometimes, when you are driving home, that final stretch of freeway seems the hardest, the longest. Yet home awaits, and we don’t want to stop. We want to get home. 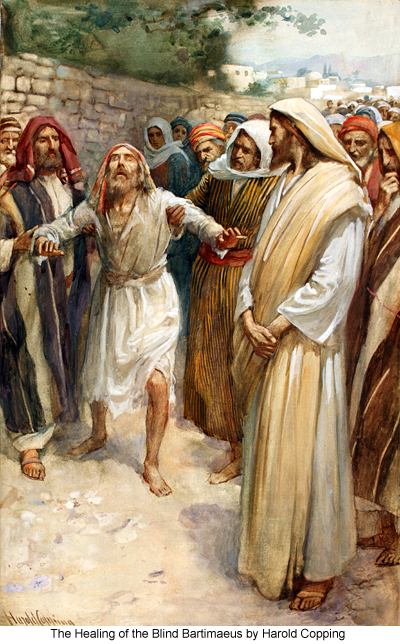 As Jesus comes to this final Jericho turn, he is accosted by a blind man whose daily existence consisted of begging by the side of the road. 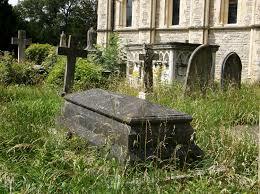 He hears that Jesus is passing by and understands it is a carpe diem moment for him. He calls out, “Jesus, Son of David, have mercy on me!” He is asking to be healed, to receive the mercy of God for his miserable life. What will Jesus do? Surely he wants to get home! 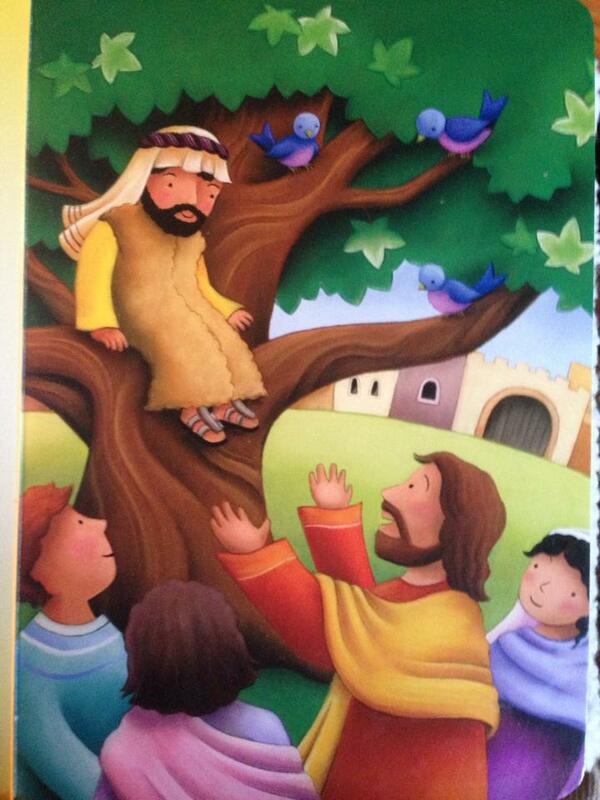 A little later, as Jesus enters Jericho, he encounters Zacchaeus, a “wee little man” who has climbed a tree to see the famous rabbi traveling to Jerusalem. Zacchaeus, a wealthy outcast in his city, needs Jesus as much as the poverty-bound blind man. We would think that the urgency of Jesus’ journey would mean there is no time for this tax collector. What will Jesus do? Luke tells us that Jesus heals the blind man and goes to the home of Zacchaeus to redeem this hated “son of Abraham.” Jerusalem can wait a little. Jesus has time for those who need him. The journey can be as important as the final destination. Holy Week is upon us. Today is Palm Sunday, the celebration of Jesus’ entrance into his city of destiny. In the midst of these momentous events, don’t think Jesus has forgotten you. Speak with him and he will be listening. Ask for his mercy and he will bless you. Look for him and he will come to your home and bless you. Prayer: May we prepare our hearts for Good Friday, the day of Jesus’ death, and Resurrection Sunday, the morning of his true triumphal entry from death to life. Let us not stumble through this week without taking time each day to remember Jesus. Lord Jesus Christ, Son of God, may you have mercy on us! The Gospel of Luke relates many fascinating events encountered by Jesus on his final journey to Jerusalem for Passover in A.D. 30. 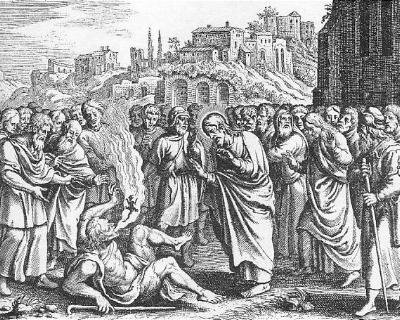 On one occasion recorded in Luke 11, Jesus was casting out a particularly troublesome demon. This evil spirit had caused its host to become mute, unable to speak. It must have been a notorious situation, because when the man is delivered and begins to speak, Luke tells us the crowd was amazed. So amazed that they grasp at straws to find an explanation. Someone offers a plausible answer, although one that is dead wrong. This person suggests that Jesus has power over the demons because he is in league with the prince of demons, an entity known as Beelzebul. Others aren’t quite so sure, but ask Jesus to provide even bigger proof of his power, wanting a “sign from heaven.” We are not sure what this might be, perhaps a summoning thunderbolt or making the sun disappear, but Jesus does not take the bait. His demon busting ministry is not really for them. It is to relieve the suffering of the unfortunate man who was unable to speak. In some ways, this encounter is representative of Jesus’ journey to Jerusalem, even his entire ministry. The amount of miracles necessary to bring everyone to faith is a bottomless pit. Miracles like driving out demons cannot be understood without the recognition of divine power at work. If we fail to recognize the presence of God or refuse to believe in God’s activity, we must either concoct a ridiculous implausibility to explain it away or we must be insatiable in our demands for evidence. Today, as it was for Jesus, some look at him and respond with faith and love. Others reject with distrust and slander. The Greek word translated “finger” (δάκτυλος) does not have the distinctions our word “finger” does, because it refers to the digits of the hand, all five of them. It could be translated the “thumb of God,” and I think this gets the sense better. 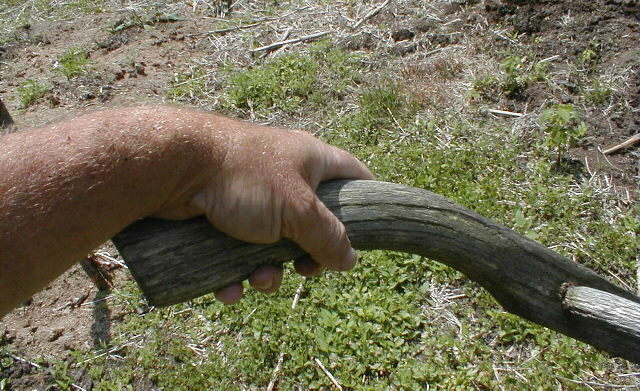 It is not God’s finger wagging at you for unbelief. It is God’s thumb pressing on you, pushing you, not letting you run away from a decision of faith. For those of you who have joined with Jesus, Luke, and me as we make our way to Jerusalem and its cross during this Lenten season, may we not be relieved of the pressure of the thumb of God. May it not pressure us into decisions we should not make, but help us confront our doubts and believe even more strongly. May we never forget that we live in the presence of the living God, under his reign, in his kingdom. Our road to Jerusalem may be filled with the miraculous or it may not. Let us not demand or even seek signs, but be amazed at the Savior who drives out demons and saves our souls. 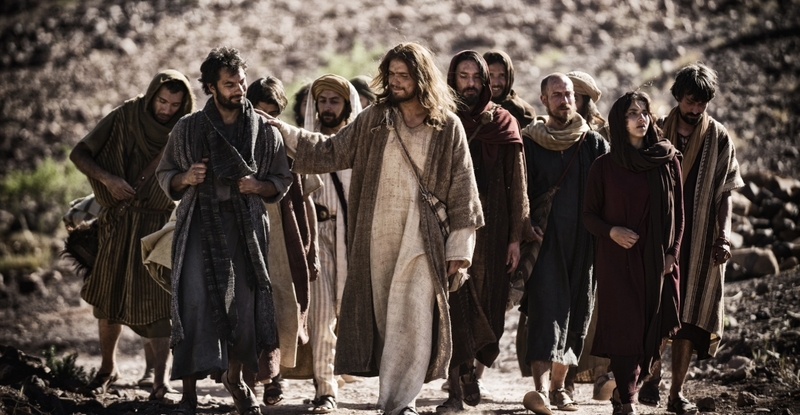 In Luke’s account of Jesus’ Journey to Jerusalem, there is an interlude in which a large group of disciples are sent out as evangelists (Luke 10:1-24). There are thirty-six teams of two, and Luke indicates they were sent as advance teams to the towns and villages that Jesus intended to visit. Their message was simple: the Kingdom of God is near. This is synonymous with the arrival of Jesus. Jesus’ presence is the Kingdom of God. We see this in three things that happened with these evangelist teams. First, they are to say to each house they enter, “Peace to this house,” a blessing indicating God’s favor. The Kingdom of God is accompanied with the blessings and gracious acts of the Lord. This week, as we journey with Jesus to the cross, are you accepting and enjoying the peace of God, the grace of God, the blessings of God? Is your life, no matter how dangerous and stressful, resting in the comfort and peace of the Lord? Here is a way to judge this for yourself: Are you angry or content most of the time? Peace and anger are not easy companions. This week, let us concentrate on releasing our angers and resting in God’s peace. Second, the Kingdom of God is also a sign of God’s judgment. Where the teams were not welcomed, they were to announce that rejection did not mean the Kingdom of God was thwarted. Instead, such villages were to be warned that their fate was to be worse than the ancient city of Sodom, a place that received the deadly rain of heavenly fire for rejecting God’s call to repentance. This week, let us leave behind all of our rebellious attitudes and pretensions of independence as we travel with Jesus to the cross. 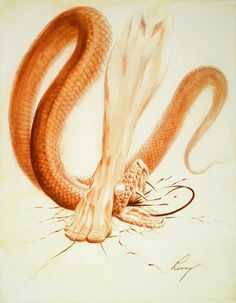 Third, Jesus tells the returned teams that they have the authority to “trample on snakes and scorpions and overcome all the power of the enemy.” The bites of poisonous snakes and the stings of scorpions are not necessarily deadly. More often they are extremely painful and debilitating. If Jesus’ metaphor says we can step on threats and crush the heads of opposition. We can travel with him in confidence. This week, let us confront our fears in following Jesus. Are we afraid of ridicule, of rejection, of sacrifice? May we lay behind these fears and stride confidently with the King of Kings as he nears the cross. Lord, give us peace in this Lenten season. Let us drop our resistance to needed repentance. May we live confidently as your servants who journey with you throughout our lives. Amen. 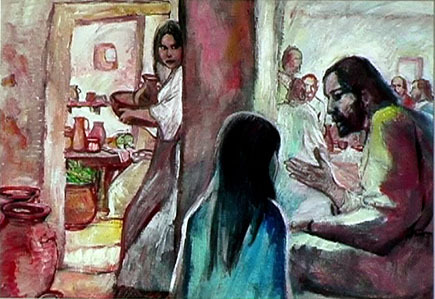 After Jesus sets out for Jerusalem, Luke 9 records three mini-episodes of reactions from potential disciples. They illustrate the cost of following Jesus. As we proceed through the Lenten season toward Holy Week, let us pause to learn from the three responses. There is no evidence that this fellow followed. When Jesus presents him with the harsh realities of being his disciple, he does count the cost, and he stays home. Prayer: May we not see our journey to the cross with Jesus in a way that ignores sacrifice, hardship and commitment. Amen. A simple reading of this text is troubling for many people. Jesus seems to be a hard-hearted fellow, denying this potential disciple the dignity of taking care of his recently deceased father. But that is not what is happening. The man’s father is still living. He is declining the call to follow Jesus so that he can wait until his father dies, until all of his family responsibilities are settled. It doesn’t work that way, then or now. The call to follow Jesus is immediate and cannot be delayed. Our journey with him to the cross must begin now. Prayer: May we not delay in following Jesus, but point our faces like flint to the cross. Amen. As with the previous episode, Jesus seems to be asking too much of this man. Couldn’t Jesus wait a few hours for the man to say goodbye? But Jesus’ answer reveals what is afoot. To look back while plowing would result in crooked rows, perhaps damage to the precious plow by hitting a rock while not watching. We must look at our leader when following and we must follow. Does Jesus ask too much? Yes, of course he does, for he demands everything from his disciples. And he does not want to wait. The time to follow is now. Prayer: May we follow Christ with abandon, not looking back, not harboring regrets, and never holding back. Amen. Let us make this, the second full week of Lent, a time when we examine our disciple relationship and make new commitments to follow, no matter the cost.